Mobitz type II and complete heart blocks are high-grade AV blocks. The etiology includes acute MI, medications, inflammation/infection (such as myocarditis), degeneration of the conduction system, metabolic derangements, and iatrogenesis (e.g. ablation). It is incumbent upon ED providers to evaluate for intervenable causes in the ED such as ACS/acute STEMI. 1.5-2.9% of patients with ACS will present with a high-grade AV block.1 The majority of these present in the setting of an acute STEMI. The risk factors include advanced age, history of diabetes, and an RCA culprit lesion. The necessity of temporary pacing in the setting of high-grade AV blocks is somewhat unclear. One retrospective study found that there was no difference in outcomes in patients who were paced prior to PCI versus those who were not.2 Nonetheless, the presence of a high-degree AV block in the setting of acute MI portends a poor prognosis, and these patients have an increased 30-day mortality. One study suggests that if a patient makes it through these first 30 days, however, their mortality is then equal to that of other STEMI patients.3 Therefore, aggressive care up front may be beneficial in this circumstance. Did I replace or fix the device so that it is no longer compromised? If I can’t fix it, did I call someone who can and they fixed it? If no one is available to fix it, have I called someone to ensure follow-up so that this compromised device can be fixed? If one cannot answer yes to these questions, it comes down to a case-by-case basis. One must examine many factors including patient preference, patient reliability, provider comfort, and quality of follow-up. Ischemia is a rare cause of isolated numbness. However, it is possible to have a pure sensory stroke, and this is most often due to lacunar infarcts in the thalamus. This accounts for 4.7% of all strokes.4 Most often, this presents as a complete hemisensory deficit. Mechanical compression may result in isolated sensory deficits as well. Localization is important in order to make the diagnosis and can be due to things like malignancy, disc herniation, carpal tunnel, and thoracic outlet syndrome, for example. Demyelinating disorders are an additional consideration for the differential of isolated numbness. The history is most crucial in making this diagnosis. Focus on antecedent illness, the time course of the symptoms, and recent vaccinations. Don’t forget systemic causes. These are more often bilateral in distribution. It can be due to chronic illnesses such as HIV, DM, hypothyroidism, and syphilis. Certain medications can contribute including anti-retrovirals and certain chemotherapies (especially platinums). Hypocalcemia, vitamin B12 deficiency, and thiamine deficiency can also lead to sensory symptoms. Finally, autoimmune disease can also contribute such as scleroderma, sjogrens, and sarcoidosis. Red flag symptoms include sudden-onset symptoms, temporal changes, facial involvement, history of malignancy, personal or family history of autoimmune disease, or other associated neurologic dysfunction. Blunt cardiac injuries occur on a spectrum with overt injures, such as ventricular rupture, and occult cardiac injury, which often requires investigation to make the diagnosis. The incidence is difficult to quantify but is estimated to occur anywhere from 8-71% of blunt traumas. There are multiple modalities used to make the diagnosis including the EKG, cardiac enzymes, echocardiography, CT, and MRI. There was a prospective study of 115 patients examining the role of EKGs and troponin in detecting blunt cardiac injuries. The first EKG should be performed after the initial resuscitation to normalize electrolyte and acidosis-induced derangements. Sinus tachycardia is generally excluded from the definition of an “abnormal EKG.” These authors found that combining troponin and EKG findings increases the sensitivity and negative predictive value.5 Similarly, a normal electrocardiogram and normal serum troponin levels preclude the presence of significant blunt cardiac injury.6 Only 1 in 44 patients had both a normal initial EKG and initial troponin that later became abnormal. This suggests that your initial screening EKG and troponin are sufficient to evaluate for blunt cardiac injury. The 2012 EAST guidelines suggest that an admission EKG should be performed on all patients in whom blunt cardiac injury is suspected. They give a level II recommendation suggesting that if the initial EKG has a new abnormality, the patient should be admitted for continuous EKG monitoring. In addition, patients with a normal EKG and normal troponin have been ruled out and can be considered to not have a significant blunt cardiac injury. Additionally, there is a level III recommendation that troponin should be measured routinely for patients with suspected blunt cardiac injuries. The physical exam does not have the greatest sensitivity for detecting infectious mono. Posterior cervical lymphadenopathy has the highest sensitivity (64%). The presence of atypical lymphocytes on peripheral smear also has a similar sensitivity (66%). The specificity is in the 90s for each.9 The diagnosis can be quite difficult because the monospot is 71-98% sensitive with a fair number of false negatives. It is 91-99% specific though, so a positive result can have utility in making the diagnosis. The clinical utility of this diagnosis was hotly contested, however the prognostic value of the diagnosis is often helpful for a young, healthy population to set appropriate expectations. The RUSH exam (rapid ultrasound for shock and hypotension) can be very useful in the setting of undifferentiated shock. It may guide providers to direct interventions accordingly and can help institute the appropriate treatment early in a patient’s course. One study compared the working diagnosis for patients with undifferentiated shock before and after POCUS. They found an improvement in the consistency of finding the true diagnosis when the RUSH exam was utilized. Consider using this in undifferentiated patients with hypotension and shock on arrival. Singh S., FitzGerald G., Yan A., Brieger D., et al. High-grade atrioventricular block in acute coronary syndromes: Insights from the Global Registry of Acute Coronary Events. European Heart Journal, 2015; 36(16): 976-983. Hwang Y., Kim C., Moon K. Periprocedural temporary pacing in primary percutaneous coronary intervention for patiets with acute inferior myocardial infarction. Clinic Interv Aging, 2016; 11: 287-292. Gang G., Hevlplund A., Pedersen S., Iverson A., et al. High-degree atrioventricular block complicating ST-segment elevation myocardial infarction in the area of primary percutaneous intervention. European Society of Cardiology; 2012; 14: 1639-1645. Arboix A., Garcia-Plata C., Garcia-Eroles L., Massons J., et al. Clinical study of 99 patients with pure sensory stroke. J Neurol, 2005; 252(2): 156-162. Salim A., Velmahos G., Jindal A., Chan L., et al. Clinically significant blunt cardiac trauma: role of serum troponin levels combined with electrocardiographic findings. J Trauma, 2001; 50(2): 237-243. Velmahos G., Karaiskakis M., Salim A., Toutouzas K., et al. Normal electrocardiography and serum troponin I levels preclude the presence of clinically significant blunt cardiac injury. J Trauma, 2003; 54(1): 45-50. Weiner Y., Achildiev B., Karni T., Halevi A. Echocardiogram in sternal fracture. Am J Emerg Med, 2001; 19(5): 403-405. Foli M., Mackersie R., Furst S., Davis J., et al. The asymptomatic patient with suspected myocardial contusion. Am J Surg; 1990; 160(6): 638-642. Welch J., Holland D. What elements suggest infectious mononucleosis? Ann J Emerg Med, 2018; 71(4): 521-522. Overdose is now the number one cause of death in those under the age of 50. Americans use far more opioids than the rest of the world combined. This began with the “war on pain” where there was a significant push for medical providers to aggressively treat pain. As emergency medicine providers, we are uniquely positioned to positively impact this growing crisis. The most important way for ED providers to address this issue is to keep opioid-naive patients opioid naive. In general, there are high-prescribing ED providers and providers who rarely prescribe opioids. One study examined how long-term opioid use was impacted by which type of providers saw patients in the ED. They found that patients who were seen by a high prescribing ED provider were more likely to become long-term users.1 The number needed to harm from this study was 48. This is a sobering number, and it is important for providers to examine their own practice patterns and how this may play a role in the opioid crisis. ED providers are among the top five opioid prescribers to all patients less than 40. We are more likely to provide a patient’s first opioid prescription, and this has been shown to be the most important in the development of opioid misuse. It is our duty to balance the need to minimize pain and suffering with the need to prevent harm from opioid misuse. If you decide that the benefit of prescribing an outpatient opiate exceeds the risk, the are ways to do this safely. The likelihood of misuse increases with the duration of opioid exposure. Acute physical dependence can develop within days and causes withdrawal symptoms that are often mistaken for ongoing discomfort from the injury or illness. Consider prescribing a maximum of three days supply from the ED and counsel patients to flush any remaining pills. Many institutions provide opioid prescribing data for providers, and this can influence prescribing practice. Consider using system interventions such as having an EMR default to a low number of tablets when writing outpatient prescriptions. Additionally, hydrocodone and oxycodone are more euphoric than other opioids. Combination medications such as Percocet and Vicodin can be dangerous due to the acetaminophen they contain. Consider oral Morphine as this is less euphoric but an effective pain reliever. EMupdates.com contains a discharge blurb to include in the discharge summary for patients to counsel them on opioid use. Implement non-opioid analgesia. Utilize heat and ice frequently. Consider local blocks if the injury is amenable to this. Set expectations: the goal should not be zero pain. Calculate the likelihood of benefit and harm if an opioid prescription is provided and counsel patients accordingly. Opioid withdrawal is hell on earth. The fear of withdrawal is often the driving force of an addict’s behavior. While they do treat pain, opioids also sensitize patients to pain, a phenomenon known as hyperalgesia. This is crucial to for providers to understand because this means we can worsen the addiction by providing opioids in the ED. Medication-assisted therapy (MAT) is the most effective treatment for opioid addiction. The literature shows that abstinence does not work. The FDA has approved three drugs for this: Naltrexone, Methadone, and Buprenorphine. Naltrexone can precipitate withdrawal and does not address the deranged brain chemistry, so it has less of a role from the ED. Methadone is effective as a full agonist, but it can be dangerous and can lead to overdose. Buprenorphine is a partial opioid agonist There is a ceiling effect, so it is much safer and less euphorant. It has a higher affinity for the opioid receptor than all other opioids, so it can precipitate withdrawal if a patient is not already in withdrawal. On the other hand, it can treat withdrawal for anyone who is already in withdrawal. It can be combined with naloxone (Suboxone). The naloxone component is inert when taken under the tongue. The naloxone is only active when the medications is injected, and this is used to prevent IV abuse. To prescribe this from the ED, providers need an X-waiver. Nonetheless, this can be initiated in the ED if you have the right patient. This should be someone who is already in opiate withdrawal. Administer 4-8 mg of Buprenorphine sublingual in the ED and connect the patient with outpatient follow-up within the next day to obtain outpatient Buprenorphine. 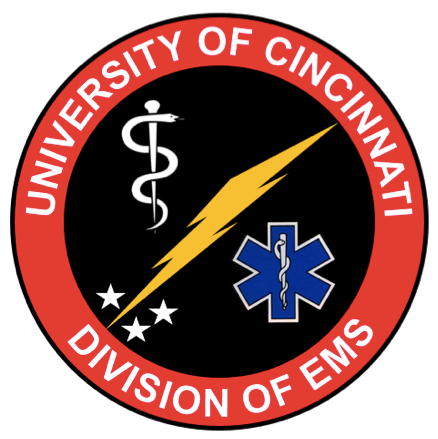 At UC, this can be done through Addiction Services. Many patents who have overdosed are not ready for intervention. Start by talking to them about their addiction. Consider referring them to needle exchange programs and Addiction Services. They can be given a Helpcard (available here). For patients with undiagnosed opioid addiction due to chronic pain, we should try to avoid opioid administration in the ED. Consider trigger point injections and alternative pain management techniques. Barnett M., Olenski A., Jena A. Opioid-Prescribing Patterns of Emergency Physicians and Risk of Long-Term Use. New England Journal of Medicine, 2017; 376: 663-673. Taking care of critically ill patients is hard. Video review can be very humbling but an effective learning tool. The case presented resulted in an initial esophageal intubation and subsequent large aspiration event. It highlights several important learning points. Nasal cannula oxygenation during intubation is easily forgotten. Without it, pre-oxygenation is suboptimal and apenic oxygenation is impossible. Checklists can be helpful in standardizing the approach to every patient and reminds providers to use this every time. Optimal positioning for intubation is with the head of the bed elevated. Positioning should be optimized every time as well. The choice of airway modality is controversial. Consider training and becoming comfortable with video laryngoscopy before moving to direct laryngoscopy. This allows learners to become comfortable with the mechanics and anatomy before moving to a more difficult view. C-spine precautions should be obtained as much as possible, but if an adequate cannot be obtained, optimize head positioning as needed. The harm of not getting an airway far outweighs the very slight possibility of worsening a c-spine injury. Desaturation events can set in motion a dangerous sequence of events. Be cognizant of desaturations and re-establish ventilation and oxygenation early, while the patient’s saturation is still decent. The patient needs oxygen in the lungs, not plastic through the cords. Consider laryngeal mask ventilation instead of bag mask ventilation. Assign roles early and establish team and task leaders. Capnography should be used every case, every time. Always listen to breath sounds immediately. Tactical breathing can lower provider’s catecholamines during stressful situations. Blunt abdominal trauma most often occurs from seatbelt injuries due to acceleration/deceleration forces. These are often polytrauma patients, and adjacent structures are often concomitantly injured. The physical exam is notoriously unreliable. Blunt abdominal trauma often has other distracting injuries and altered mental status confounding the exam. Abdominal distension does not necessarily mean intra-abdominal injury (it can be due to bagging, for example). Patients with lap belt signs should be monitored for delayed abdominal injury by trauma for at least 24 hours. The diagnosis starts with the FAST examination. Repeat it as needed if a patient’s exam changes. Recall that the retroperitoneum is not systematically evaluated. Patients with prior laparotomies can collect fluid in unexpected places, so keep this in mind during evaluation. Pelvic fractures can also distort the anatomy and make the FAST less useful in detecting these injuries. CT scan is less sensitive for pancreatic, bowel, and diaphragmatic injuries. Mesenteric injuries may be seen on CT or reflected by nonspecific fluid, but the downstream effect from this is not always known. These patients need to be observed for clinical signs of bowel ischemia. The management of blunt abdominal trauma obviously varies depending on what has been injured. Certain organs can be removed in the setting of trauma. These include the spleen, kidney, and distal pancreas. Stable patients often receive close observation and non-operative management of these injuries. Angioembolization for splenic injuries should be considered in Grade III or higher injuries, the presence of contrast blush on CT, evidence of ongoing hemorrhage, and moderate hemoperitoneum.1 This is not without potential complications such as the development of abscesses, pseudoaneurysm formation, and delayed rupture. The wounded “surgical soul” is a small area that contains the pancreatic head, bile duct, and numerous crucial blood vessels. It is difficult to identify what is injured in this area until this is explored in the OR. At that point, hemorrhage and pancreatic leak can be devastatingly difficult to repair. Liver injuries can be managed by packing the area, Argon beam coagulation, large blunt chromic suturing, and utilization of various hemostatic agents. Resections, debridements, and cavoatrial shunting are last resort maneuvers carrying increased morbidity and mortality. Future directions in abdominal trauma care include the use of expanding gel foam and REBOA, Ultimately, effective care of the critically-injured trauma patient involves teamwork, complex problem-solving, and clear communication. Stassen N., Bhullar R., Cheng J., Crandall M., et al. Splenic injury, blunt, selective non-operative management of. J Trauma, 2012; 73(5): S294-S300. Rotondo M., Schwab C., McGonigal M., Phillips G., et al. ‘Damage control’: an approach for improved survival in exsanguinating penetrating abdominal injury.